Summer wouldn’t be summer without a Ringo Starr concert. 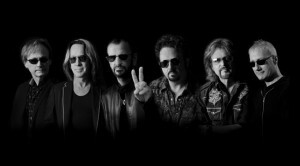 The 14th and most recent incarnation of Starr’s touring group includes Steve Lukather, Richard Page, Gregg Rolie, Todd Rundgren, Warren Ham and Gregg Bissonette. Starr phoned us from Casino Rama in Ontario to discuss upcoming shows. We only had five minutes with the former Beatle, so we had to keep things brief. I think we’ve got five minutes so we should jump into it. Now, you’ve got three minutes. We’ve got you’ve had quite a year. What was it like to perform with Paul McCartney at the Grammys? Great. I love playing with the man. He is my friend and he certainly is a fine musician. It was a thrill. Talk about that tribute concert held earlier this year in Los Angeles. That was great. That was the first time ever that they’ve taken my songs and all those people came out to do them. David Lynch the filmmaker is so cool. What he does for kids and now for veterans is great. You can’t not hang out with good people and nice people like that, so that’s what I do. You put the first All-Starr Band together in 1989. What prompted the idea and what stands out from that first incarnation? It was incredible, that first one. A man came to me and said Pepsi wanted to put some money into a tour and did I want to put a band together. I never thought about it. I said, “Yeah.” Then, I realized, “Oh God. I don’t have a band.” I thought I would call my friends up and go out as Ringo Starr & His All-Starr Band. I called Joe [Walsh] and Billy Preston and Dr. John and Levon [Helm]. It’s like an orchestra. I had never done it before and was very nervous. You see very few bands with three drummers. It went on from there. It was such a good experience, I wanted to do it again. All the players in that band went on and did their own tours. I started setting it up in February so people would be free. It’s worked for like for 20-odd years now. It’s great for me because I get to play with musicians I really appreciate. We’re all pals and support each other and we have a lot of fun together. That’s what it’s about. What do you have planned for the current tour? Any surprises? You don’t have any planned or you just won’t tell me? I would tell you. We have a lot of great tracks. Everybody has hits and everybody can play and that’s what we do. That’s the philosophy from the start. You have to be able to play and you have to have had hits from the ‘60s, ‘70s and ‘80s. I have them from the ‘60s and ‘70s. We’ve moved up to the ‘80s and the ‘90s even. That’s what it’s about and that’s what I love to do. Guess what? If I didn’t do “With a Little Help from my Friends” would you be happy? I would be happy just to hear you guys play. Well, you have to do certain songs. I do believe that philosophy. It would be silly if I backed off “Yellow Submarine” or “Little Help.” They’re the hits that people come to see. 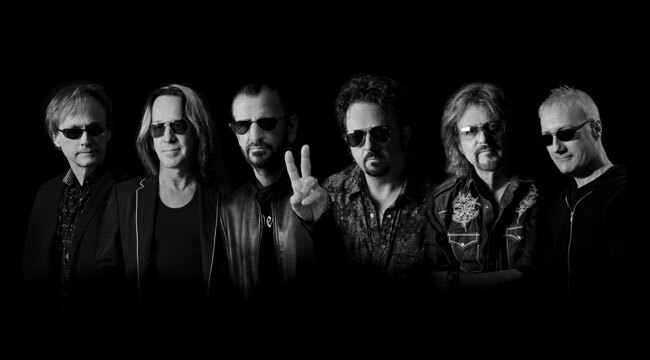 They come to see Ringo and the All-Starrs and they come to have a good time. Musically, you can’t doubt it. Everybody can play. And we’ve got the songs. It’s the 50th anniversary of Beatlemania. Why do you think the band’s music has survived? The Beatles music is incredible. That’s what I’m most proud of. It comes out on vinyl and CD and mono. It could come out on broken glass and people would still want it. Every generation gets involved if they’re interested in music. We had great writers and we had four really great musicians. It holds up. Do you think there could be another band like the Beatles? I do think there could be. I don’t know who it’s going to be or when it’s going to be. There are people who are really big out there now, but there’s no monster. You never know.